Whether you’re planning a short three day staycation in the UK, or a worldwide tour, having travel insurance is really important. It can provide cover for having to cancel plans due to unforeseen circumstances as well as help make sure you’re covered for things like losing your belongings. Find out more about being covered for your worldwide plans here, or read on to find out why you should have travel insurance for your UK holiday. Call us today on 0800 888 6195. What does travel insurance cover for holidays in the UK? When taking a staycation in the UK, some people forget just how important it is to make sure you have good travel insurance. Although you’ll not need to make a medical claim when having a staycation, you may have to cancel your holiday due to unforeseen medical circumstances. You may also to claim against our special home only cover, which covers up to £1,000 to be transferred to a closer hospital to home when you’re more than 50 miles away. 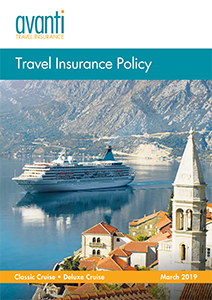 Getting the best travel insurance for your UK holiday means finding a policy that can protect you and your family. Below we’ve listed some of the most popular features of our insurance. For a full list, check out our policy documents. 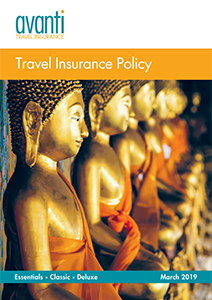 We aim to offer you the right travel insurance policy at the right price. With three levels of cover to choose from, there’s an option for every budget and every holiday. It’s also worth remembering that cover is worked out per person, rather than the total cost for your holiday. So when working out the right policy for you it’s best to work out the cost per person to make sure you’re covered. Talk to us today on 0800 888 6195 and we’ll help to create a policy that suits you. Do I need to declare my pre-existing medical conditions for UK holidays? Yes! No matter where you’re travelling to, declaring your pre-existing medical conditions is really important to make sure you’re covered. Although you won’t need to claim for medical emergencies, it’s still important to make sure you are covered if you need to cancel your holiday, or cut it short. Whether you have diabetes, cancer, high blood pressure or anything else, it’s important to declare it. What policy is right for you? If you’re taking one trip, you can travel up to 104 days and be covered with our Single Trip policy. With no upper age limit and all medical conditions considered, you could be covered in minutes. With our Annual policy, you can travel as often as you like up to a maximum of 183 days away in a year, with no upper age limit. If you’re planning more than one break in the year, it can be cheaper to choose an annual policy, especially as UK breaks are included in all annual policies.